Movie Plot : Factory owner Pardon, meets Olga, daughter of clairvoyant Stefanie Lesczynska at a ball. Their brief acquaintance is interrupted when Olga and her mother have to leave. Fifi Hrazánková has her sights set on the elligible Pardon. 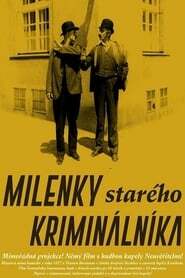 Pardon asks his Uncle Cyril Ponděliček if the girl could take over his position at work so that she may be dissuaded of her amorous intentions. Fifi seduces Pondělíček. In the meantime, Pardon meets Olga and Stefanie again by chance and offers them a place to stay at Ponděliček’s while Pondělíček passes himself off as Pardon.